PT PGAS Telekomunikasi Nusantara - PGASCOM is a rapid growing telecommunication network services company in Indonesia. 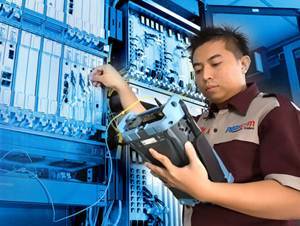 Based in Jakarta, PGASCOM operates primarily as a Backbone Provider and ICT Solution. PGASCOM has main business competencies in managing fiber optic networks, clear channel and also broadband services. Its business include Data Communication & Internet Solutions, Business Solutions, and Managed Services. PT PGAS Telekomunikasi Nusantara is a directly-owned subsidiary company of state-owned gas company of PT Perusahaan Gas Negara (Persero) Tbk or PGN Group. As of December 2016, PT Perusahaan Gas Negara (Persero) Tbk controls 99.93% stakes in PGASCOM. Other 0.07% remaining stakes in PGASCOM was owned by YKP PGN. PGASCOM has exclusive rights to manage 1,300 km international fiber optic networks with capacity up to 160GBps from PGN Group which connected Jakarta and Singapore. PGASCOM now has 1 NOC Ketapang, 4 regional offices (Batam, Jambi, Palembang, and Lampung). The Company also supported by 2 subsidiary companies; PT Telemedia Dinamika Sarana and PGAS Telecommunication International Pte Ltd. In 2014, PT PGAS Telekomunikasi Nusantara has recorded a positive financial performance. PGASCOM managed to record a total assets of US$24 millions in 2014, growing by 41.17% from 2013 which was US$17 millions. This was stated by PT Perusahaan Gas Negara (Persero) Tbk in its Annual Report 2014 as quoted by JobsCDC.com. Minimum High School Degree in IT or Telecommunication. It will be a great advantage if candidates possess previous working experience in Telecommunication industry as Customer Service or Contact Center. Basic knowledge in telecommunication, fiber optic. networking (LAN WAN), etc. JobsCDC.com now available on android device. Download now on Google Play here. Please be aware of recruitment fraud. The entire stage of this selection process is free of charge. PT PGAS Telekomunikasi Nusantara - Customer Service PGN Group May 2017 will never ask for fees or upfront payments for any purposes during the recruitment process such as transportation and accommodation.